WPCompendium.org updated its WordPress Customizations series of tutorials for beginning WordPress users, offering step-by-step courses on WP themes, plugins, widgets, theme editing and other topics. WPCompendium.org, an informative website specializing in WordPress tutorials for beginners, announced the update of its WordPress Customization module, a series of courses covering every skill necessary to adapt WordPress to any type of online application. WordPress users will find step-by-step tutorials on WordPress themes for various kinds of domains, including e-commerce stores and local business websites, a guide on how to find useful WordPress plugins, how to add various widgets to WordPress, and many other topics. More information can be found at https://wpcompendium.org. As the most popular CMS platform, WordPress is used by a wide variety of website owners, from amateur bloggers to large companies. While the basics of WordPress can be easy to learn, for the beginning user it can be relatively difficult to make full use of the functionalities of the platform. The updated WordPress Customization module from WPCompendium.org is designed as a series of step-by-step courses covering WordPress themes, plugins, widgets, lists, e-commerce and marketing integration, and many other topics. The WordPress themes section includes an introductory course on WP themes, as well as separate courses for users looking for high-engagement themes for e-commerce stores, blogs, personal websites and other online domains. A complete tutorial on how to manage WordPress themes is also included. Users interested in editing a WordPress theme will also find a course on how customize any theme using the WordPress Theme Customizer and Live Preview features. 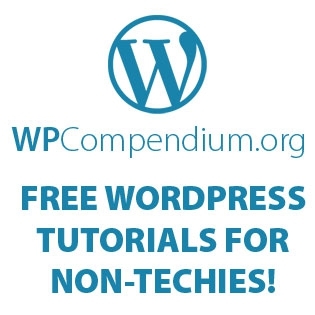 With the recent announcement, WPCompendium.org continues to invest in the development of accessible WordPress tutorials for beginners.